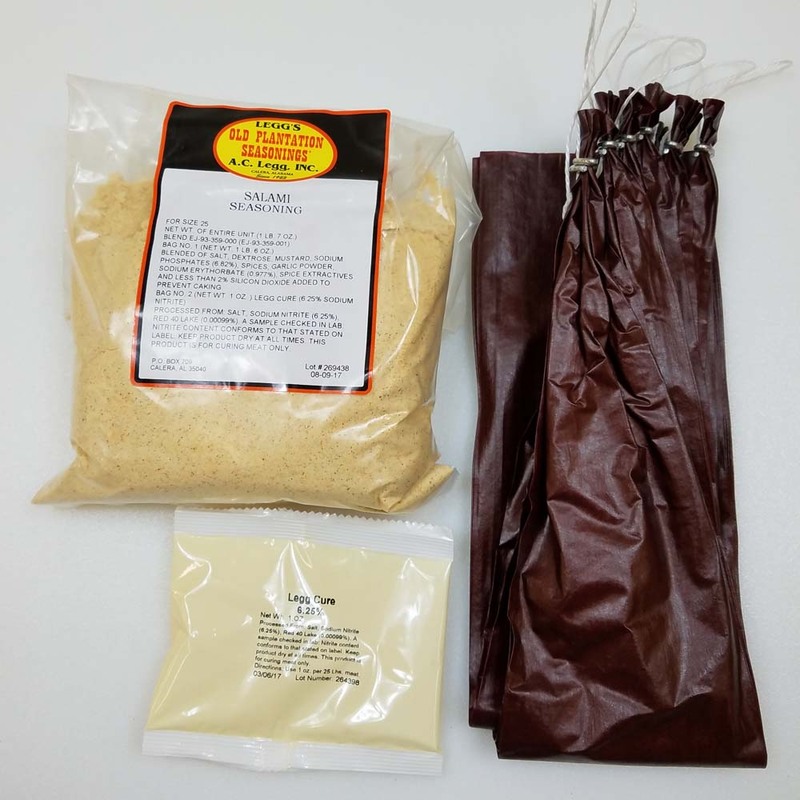 Salami Kit. Everything you need but the meat to make 25 pounds of delicious salami. 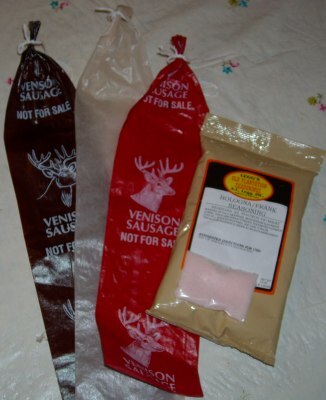 Includes 23 ounce bag of Leggs Old Plantation Salami seasoning, casings, cure, and directions. 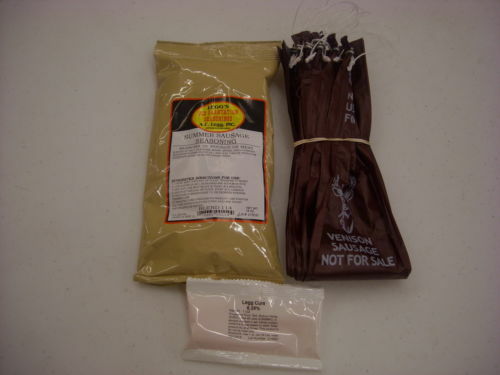 Can be used for wild game, beef, pork, poultry. 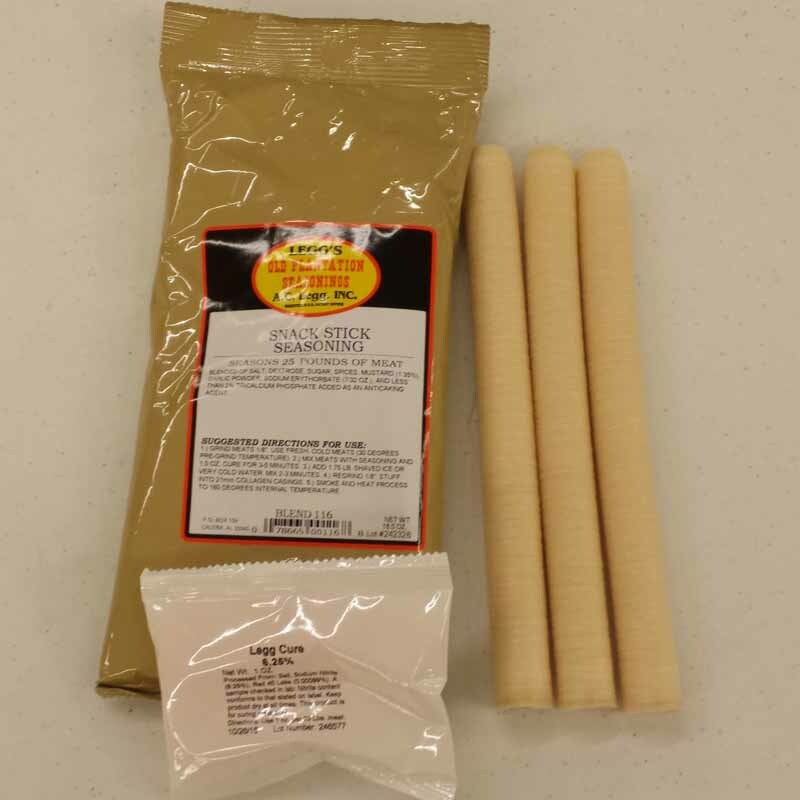 Choice of casings. From Will G. of Wimberley, Texas on 9/30/2017 .